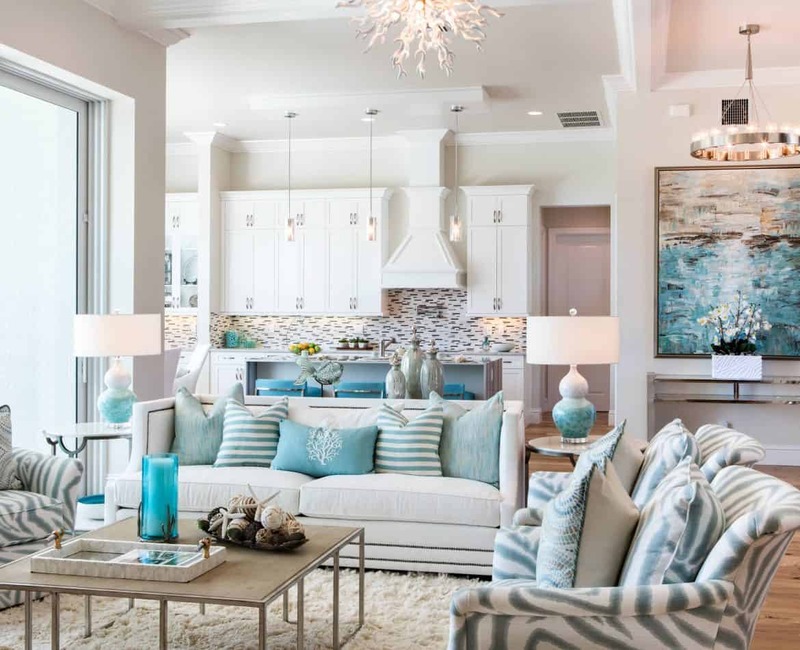 Coastal home decorating and interior designing is the magic of bringing all the beach, coastal life and marine life that you know and love from the water and life on the coast from the outdoors to the inside of your home. 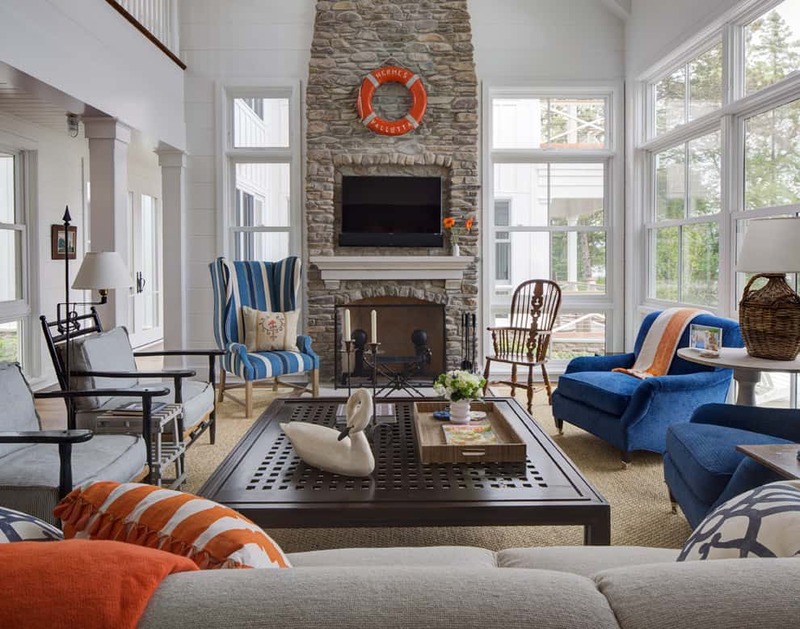 What’s more, coastal home decor can do the job of incorporating any and all of these themes into the furnishing of your home or guest house or beach condo, and it can be done in any room to any degree that you want. If you just love the ocean (I mean, really, who doesn’t?) 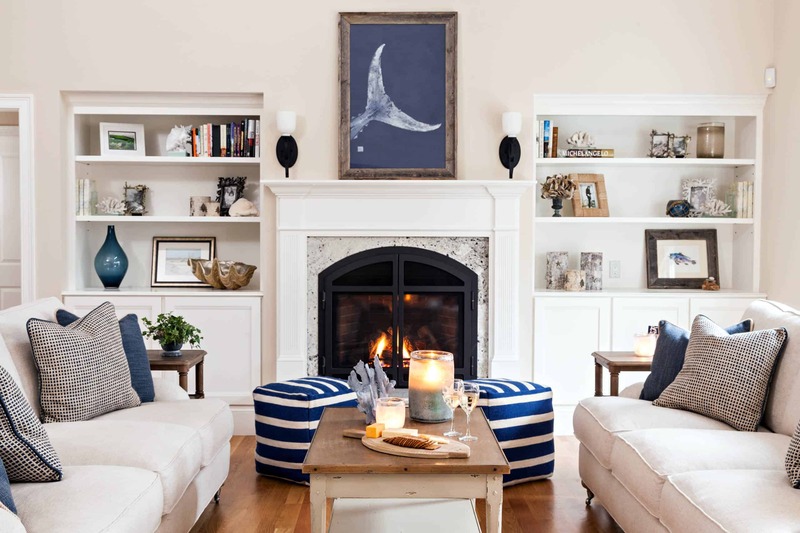 or if you have perhaps recently spent a little time at sea and you just cannot part with all of the wonderful and endearing memories you made, then coastal living decor may simply be the best decorating theme decision for you and your house. So, what are the main concepts when it comes to including coastal decor into the many different rooms of your home? Well, for one, furniture pieces in this particular design aesthetic are quite often of the clean and seamless variety. What’s more, they usually can be found in all the many beautiful and varying shades of two central colors: blue and white. 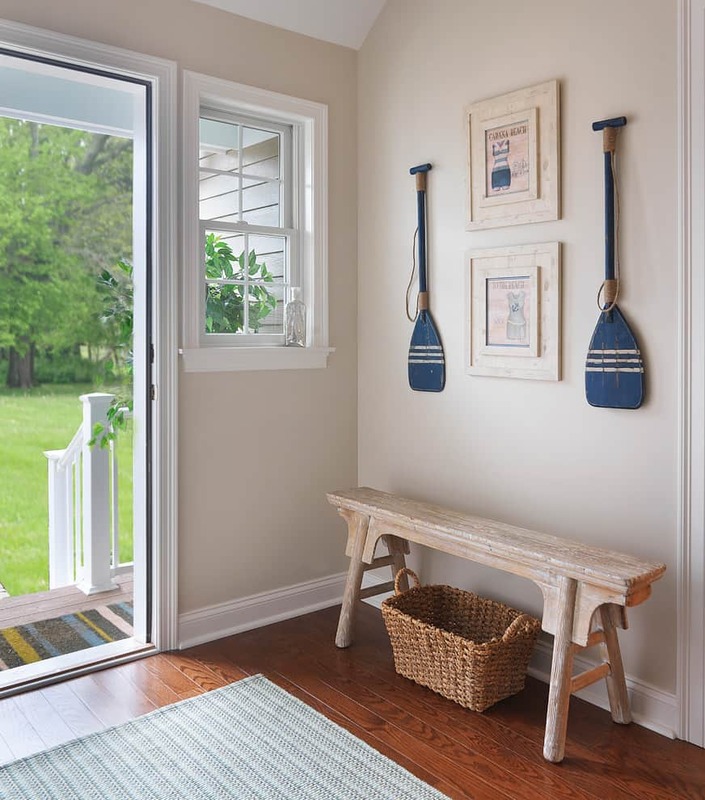 A nautical theme or design scheme is really quite similar in a lot of ways to coastal home decor and design, but it is more than a rusty anchor or a miniature sailboat placed about here and there for subtle effect. 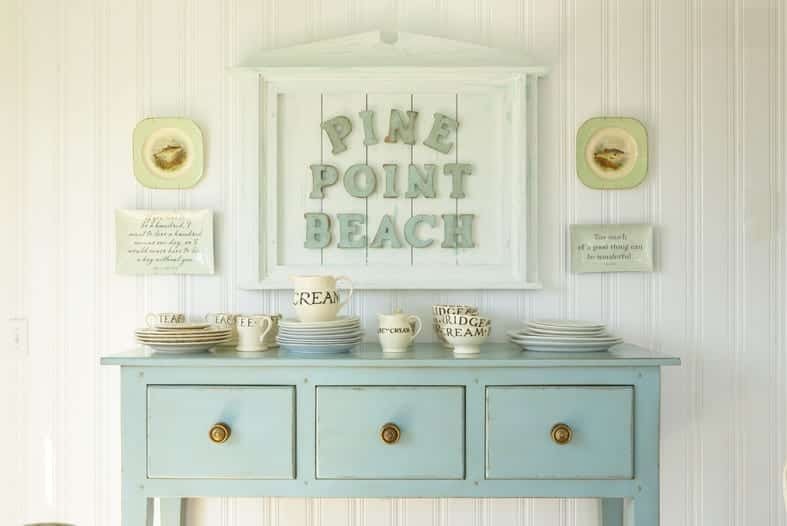 Furniture pieces in coastal decor may also be distressed and aged and “weather-beaten” so as to create a coastal beach motif to go along with the other decorating elements. The salt in ocean water creates beautiful mosaic patterns on wood and other objects that you can incorporate seamlessly into your home. Some pieces – such as ottomans, side tables, back tables, armoires, and dining sets – can also distressed and given that lost-at-sea look, which goes a very long way in complementing just about every other item in your home that also fits in with these design and decor choices. It’s a match made in heaven! Accessories that you can use for coastal decorating can truly be just about anything you want that comes with a marine or beach flair or even anything that happens to bear a similar color pattern in the blue and white scheme. For instance, pillows, vases, cabinet decor, and baskets are all over the place these days. Each one of these household items can easily be incorporated into your home if they have even the slightest accents that are related to the beach or the coast or to the wide variety of marine life in the ocean. You can also find these accents on many fabrics. Some prime examples include such classic items as tablecloths, chair covers, curtains, drapes, blankets, and sofa covers. Even bed sheets come in simple nautical designs that work great in bedrooms for people of any age, although kids are most likely to get a kick out of them! Wall color is definitely one of the most important aspects of coastal and nautical home decor and designs. You can actually pick from a few different colors, but it is probably best to try to maintain a bold accent color on the main wall in whichever room you decide to paint or decorate. One example would be to choose from blue and all its wonderful shades, then add a white, a black, a brown or a green accent, plus all of their interesting shades as well on top of this to create a great burst of color in your rooms. Wood cabinets will naturally pop out when painted in hues of blue or green, while your window and door frames very often look their best in brown, blue and green. The juxtaposition will look truly great in any room in the house. Lighting is another one of the essential parts of coastal home decor and interior design. Try finding a classic chandelier that hangs from the middle of the living room or the dining room. Another option might be to consider shining a spotlight of sorts on some of the essential pieces and accents in your coastal home decorations. Some perfect examples include items like a picture frame, a model sailboat, or even a cabinet of books. The books don’t have to be related to the sea or marine life, but it definitely helps, and there are some great options out there! Lamp shades that happen to have a nice nautical flair on them can be placed on each side of a sofa or couch or chaise for balance, while pendant lighting would work great on or near an armchair in a living room or study. A coastal home decor theme is a wonderful and colorful theme to use for any room in your home. 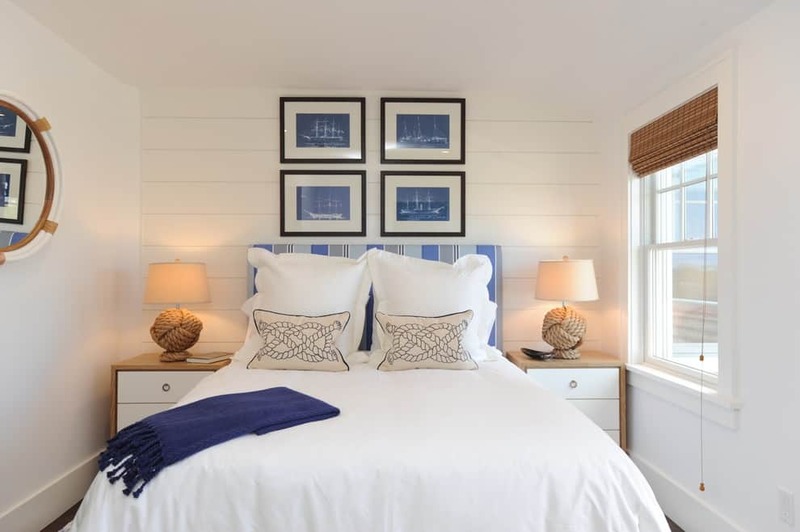 Even if you live miles away from the beach or any particular body of water, you can always wake up to your own paradise with this creative nautical theme. It’s a simple way to create a transporting feel in any home, no matter where it happens to be located in the world. 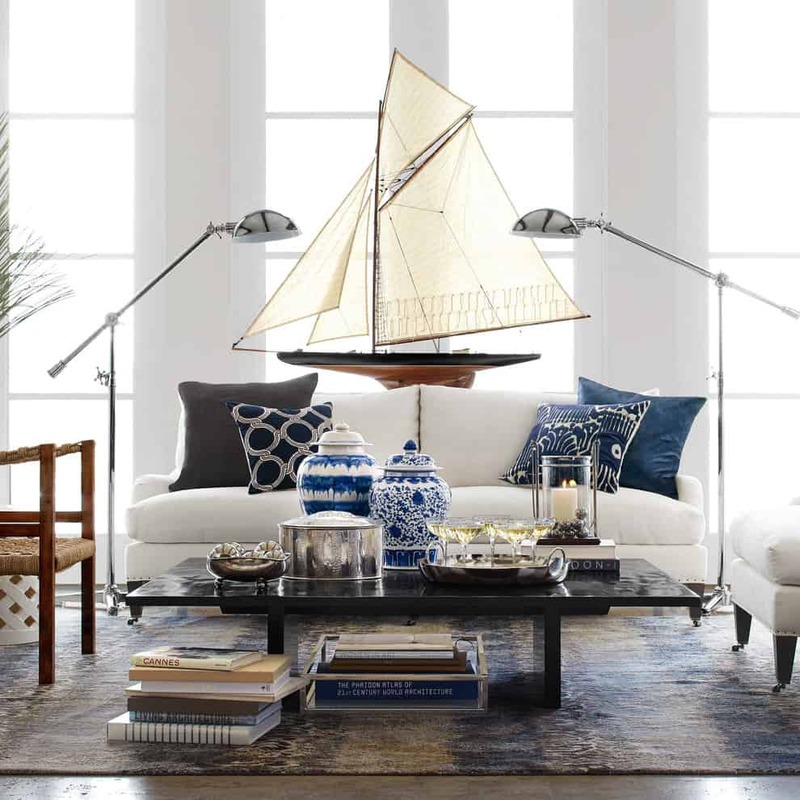 Speaking of a nautical theme, have you ever wanted to try nautical home decor for your living room or bedroom? 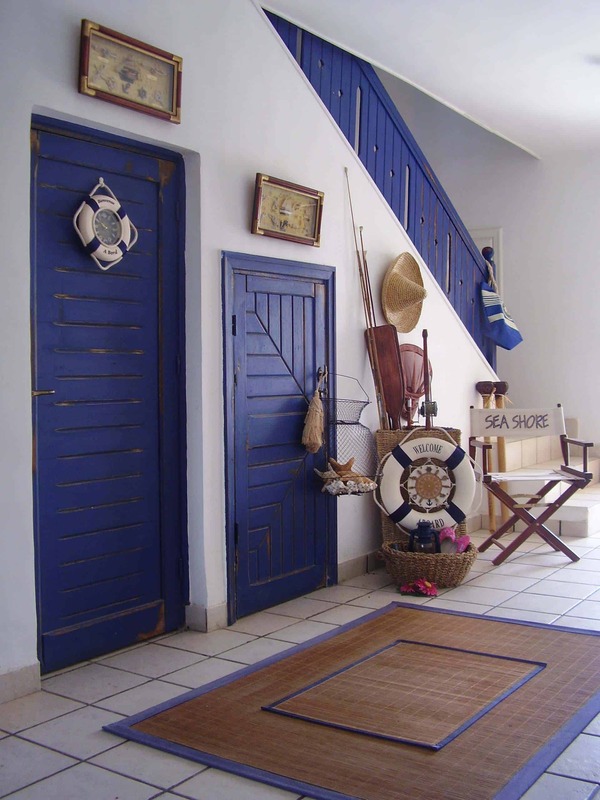 There are so many great nautical decorations and furniture that convey the nautical theme with style and elegance. Here are a few ideas that could help you out. There are a certain number of things that will just about instantly remind you and your family or friends of the sea, and of a great ocean adventure, or perhaps simply a cruise that you went to on a holiday near islands or other places around the world. Things such as an anchor, a sailing ship, a life preserver, an oar, or the steering wheel of a ship will instantly transport your imagination to a wonderful place where the smell and the feel of the sea are all imminent and present in the most magical way possible! And these things are not just placed uniformly in a room. These could be integrated in most everyday home furnishings and home décor with ease and grace. If you can’t find a real rusty anchor, another great option is to simply use an anchor decal on any of the walls in your home. Alternativey, you can always just opt to find transporting anchor designs on some or all of your pillow cases, mats, mirrors and frames. A ship is definitely too big to even attempt trying to fit in your home, of course, so why not try a model ship or two instead? Miniature shipbuilding can even become a wonderful hobby for you and your kids, too! 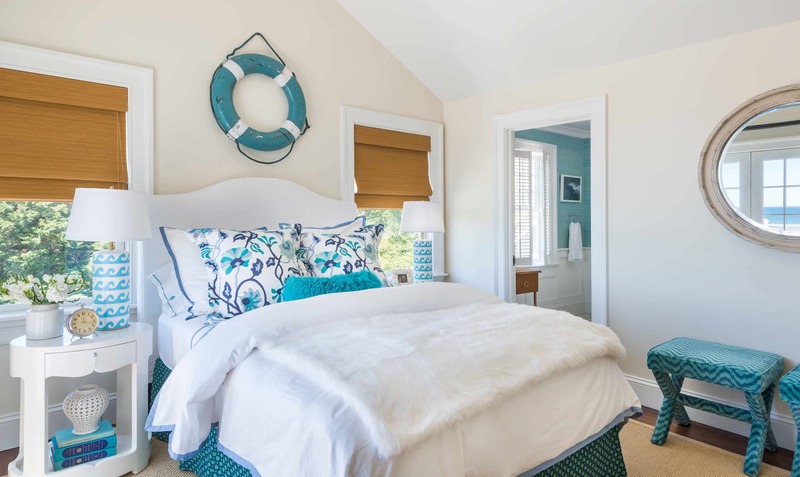 A life preserver hung over the mantel can be an overpowering sight, but you can tone it down a bit with life preserver pillows, mats, curtains, and decorations. This applies to just about anything that you associate with a ship or the boating life. 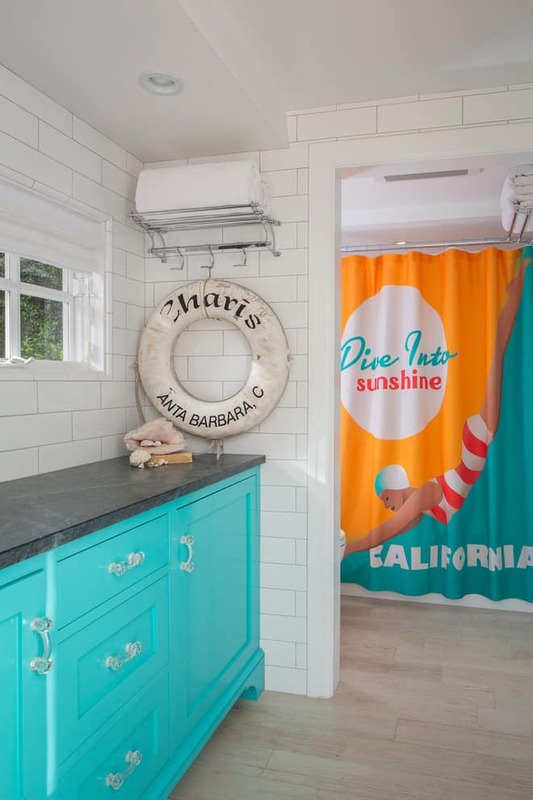 If you can think of or imagine an item that goes on a cruise, sailboat, or even a skiff, you can almost certainly find a pattern or toned-down version of that same thing for use in your coastal home decor and design scheme. All that being said, you could absolutely bring home a real-life steering wheel from an actual ship or other boat if you wanted to! There are bargain pieces from retail outlets online and offline in brick and mortar stores that look even better than the real thing, and no one will know the difference. 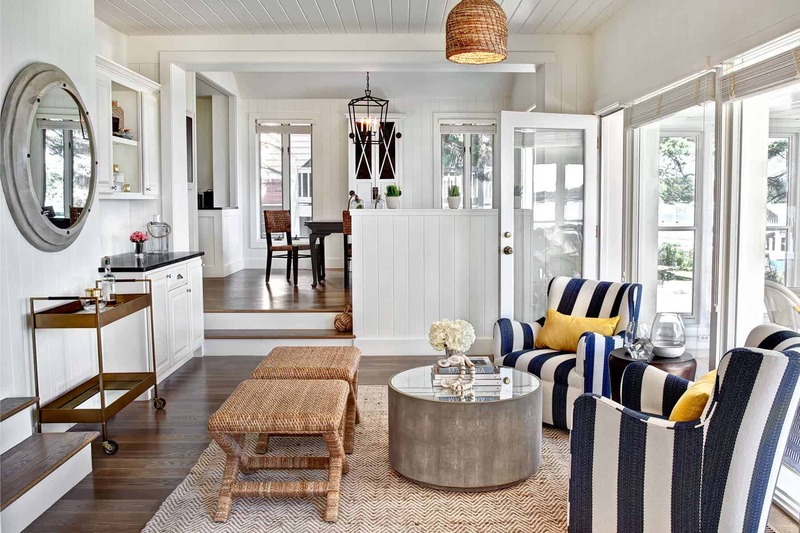 There are also steering wheel chandelier pieces and center tables that will make your home emanate the nautical theme from every nook and cranny. It’ll be almost better than being on an actual ship! 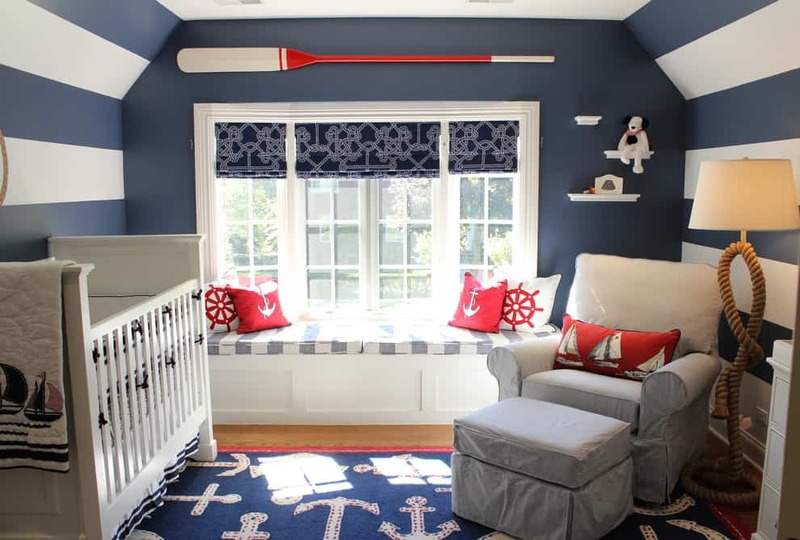 The color blue and white seem to be two of the most familiar colors when it comes to creating a nautical home decor style in whatever room of the house you wish to transform. 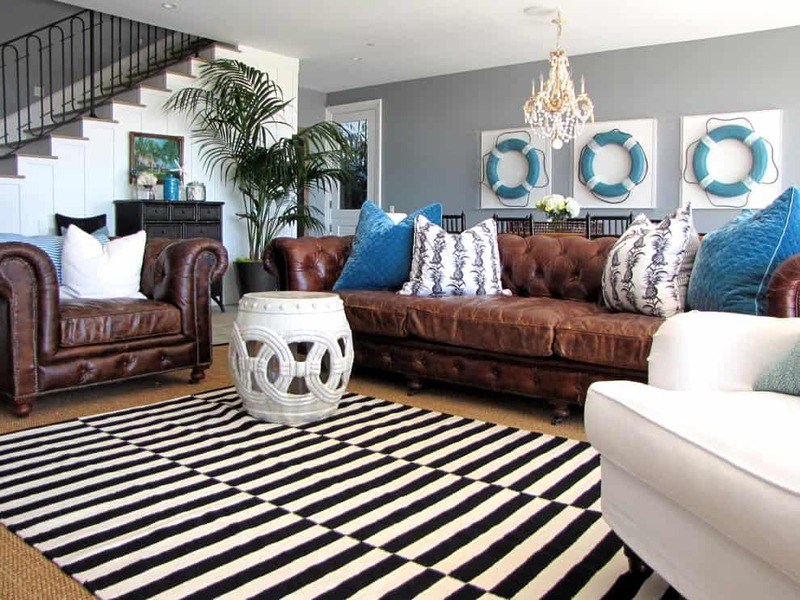 The easiest way to use these blue and white color palettes is usually to paint your room blue and white, or some combination of the two, depending on your style and preference, as well as the other color schemes that already work in your home. For instance, here is just one possible sample color scheme for a room that has four walls. One of the main walls, where all the decorative pieces and furniture pieces are centered, could be painted a strong and oceanic navy blue. The remaining three walls could then simply be given a coat of white paint to complement the bold blue of the primary wall. You could also opt for playing around with a white and blue striped pattern on your walls. This can sometimes create an even more dramatic nautical impact than the solid colors, but it will always depend on the home itself. No two houses are alike. A nautical home decor style is really all about the matching of sofa and chair covers, rugs and mats, as well as pillowcases and curtains. 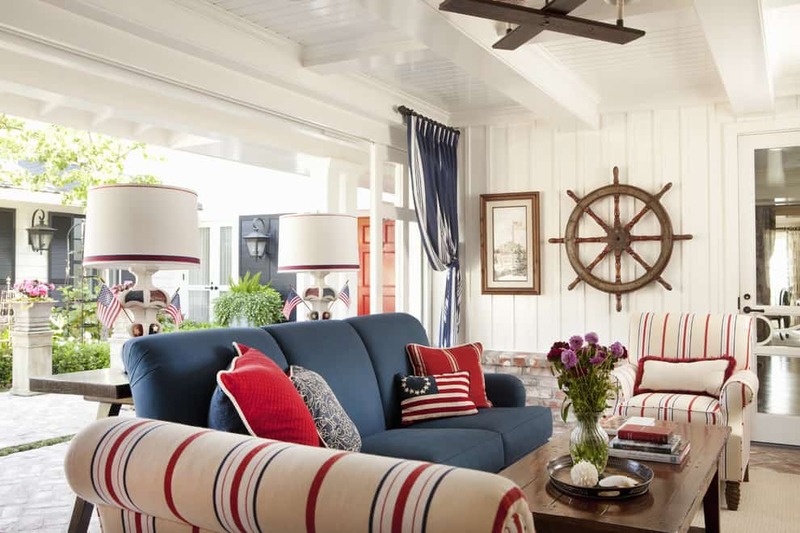 You will never be able to get enough once you start decorating nautical style. That’s a major part of the draw and beauty of nautical home decor and design. The more you have, the more you want, because ultimately the more immersive it is, the better it will feel for you and your family and friends. I love the ocean and being on the water, so I think that having a coastal decor office would be awesome for me. I like that you talked about being able to walk into your own coastal paradise is still possible if you’re miles from the beach. I’m going to have to see if my wife can help me design a coastal decor office so that I always have a space to escape to paradise! Wow, I never knew that coastal decor could have so much variety. It’s interesting that you mentioned how light is essential for this type of decor. To be honest, I wouldn’t mind seeing the different types of lighting people have used in a room/home. Perhaps it offers a good chance to get creative if you want a certain feel. Thanks for this great post, Blake! I have a Coastal Cottage and I’ve (unknowingly? intuitively?) implemented several of your suggestions! Thank you though for the cool design snob confirmation. I’m so glad that you suggest decorating beyond white wicker and British colonial palm trees – though The Bombay was kinda epic years ago! I also appreciate finding another blogger who has a penchant for using the exclamation mark as much as I do! I have a link to my Coastal Cottage blog (mostly to expand upon my rental profiles) off my main blog, I invite you to check it out.